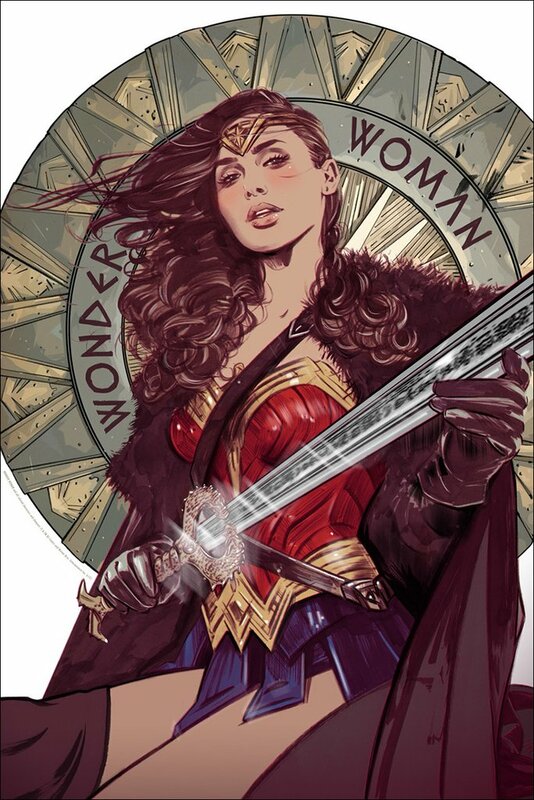 Out of nowhere Mondo has dropped a surprise poster for Wonder Woman in honor of the film's release today. The poster is inspired by the epic portrayal of the Amazonian Icon by Gal Gadot. Even better the poster was done by one the best female artist, and artist period going right now: Tula Lotay. I could not think of anyone better than her to handle this special print. Tula Lotay burst onto the gig poster scene from comics with her epic Muholland Drive poster. My only gripe here is that Mondo did not give us a heads up email as they generally do, leaving many to speculate in the poster collecting community that this would be a timed edition as the company did for previous DC films: The Dark Knight Rises and Man of Steel. If you want one now take you will have to take your risk on ebay, where I actually found one at a fair after market price.